Now that the year is coming to an end, if you have not been as diligent as you perhaps should have been, it is time to go to the doctor and get checked. If you have hit your deductibles for the year, then really go as it won't even cost you anything. Or if you have some form of a health savings account, use it up by going to the doctor. But I have been to my internist and my endocrinologist, you say. What else should I do? Have you been to the podiatrist? Call now to get an appointment to see the doctor by the end of the year. The doctor will check out your feet so that if there is anything that needs to be taken care of you will know and can plan for it. If you are wondering what happens when you go to the podiatrist, please check my prior post (click HERE) and you will see what happens and why you should go. How about the eye doctor? You may go to an ophthalmologist or an optometrist. But you need to get your eyes checked at least annually if not every six months. Diabetes can have terrible effects on eye sight but if caught early enough, something can be done to prolong your vision. I also have a prior post about going to the eye doctor (click HERE) for why you should take the time to go. So go to the phone now. There isn't much time to get an appointment so don't delay. It can be your Christmas treat for yourself. 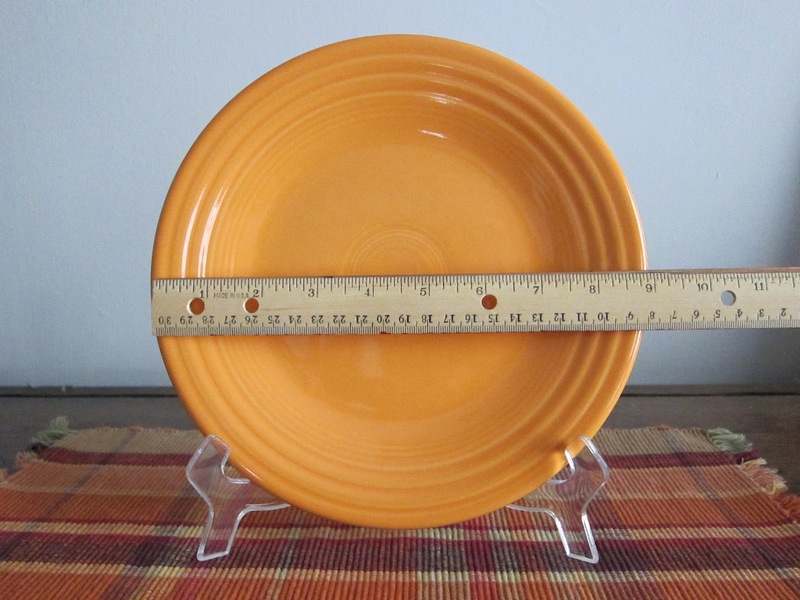 Happy Thanksgiving from the 9 Inch Plate! We are so thankful that you read this blog and stay in touch with us. Silent Sam appreciates the support and well wishes! As we get ready to eat our way through the day, let's try and make one change for the better. Now, if you always behave yourself, this isn't for you. But if, like most, you give in to temptation (especially today!) then how about making one or two changes that might not be that hard but will help your health. 1. Forgo the whipped cream on the pumpkin pie. 2. Not put gravy on everything. Stick to the potatoes and taste the rest without gravy. 3. Watch your plate size. Remember the 9 inch plate concept? 4. Drink a full glass of water in between each alcoholic beverage. 5. Go for a walk around the block after dinner - wait - after you have cleaned up for dinner if you didn't cook. 6. Eat your salad and vegetables first. 8. Put your fork down in between bites. 9. Drink a full glass of water before you sit down to eat. 10. Try and remember the term "moderation". Take smaller portions and eat slower. Have a wonderful Thanksgiving. We wish you the best! I have gone back to the beginning and started trying to learn more about diabetes. When Silent Sam was first diagnosed, I just accepted what I was told and did not ask any questions. As a result, I didn't really know what diabetes was, what happened if blood sugar isn't controlled, and how eating really affected blood sugar. It has been very interesting. I now know that for Silent Sam, his beta cells are either not producing insulin or his body is insulin resistant. Insulin resistance means that even though it is there, the body is not using the insulin it produces. I have also found that the body uses glucose as energy. Glucose is produced in the body during the digestion of carbohydrates. In a person without diabetes, the glucose is joined by insulin and is carried to the cells to provide energy and if the cells don’t need all the glucose and insulin that they are then stored either as glycogen (long term energy) or as fat. In a person with uncontrolled diabetes, the glucose cannot be used for energy because it’s not matched with insulin. Cells will not accept glucose without insulin. The glucose then flows through the blood stream and eventually is excreted in urine. The problem is that while the glucose travels through the blood stream it damages the passageways. That damage is particularly bad in small blood vessels. The glucose thickens the blood vessels and less blood can get through. The glucose also damages the walls of the blood vessels. In learning all this information, I also came across the concept of the glycemic index and the glycemic load. At first, I thought that the glycemic index was just another fad diet. I was wrong. The glycemic index was introduced in the 1980s. It was introduced as a way for people with diabetes to be able to control their blood sugar better. The basic concept is that there are some carbohydrates that when ingested affect the blood sugar quickly and there are others that the affect takes much longer. The basic desire is to have the blood sugar be pretty constant during the day. Therefore by watching which carbohydrates you eat, you can help to maintain your blood sugar levels. The best quote I read about including the glycemic index information in your diet indicated that if you are careful with your carbohydrates already then adding the glycemic index information is just another layer of help. Next week – How they determine the glycemic index of a food and what is a glycemic load. Information from the American Diabetes Association Regarding the Affordable Care Act. The Affordable Care Act is bringing additional major health insurance changes for people with diabetes over the next few months, including—finally—the end of discrimination against people with diabetes in the health insurance market. No longer can an insurance company stamp “NO” on an application, simply because you or a family member has diabetes. While these changes will benefit people with diabetes all over the country, we are aware that there is some confusion about how they will benefit you, your friends and your family. That is why, at the American Diabetes Association, we are bringing you information about the Affordable Care Act to help you get insurance that best meets the needs of you and your family. On October 1, 2013, people can start signing up for health insurance through their state Marketplace. Coverage purchased in the Marketplace will go into effect as early as January 1, 2014. January 1, 2014 brings a host of other changes including ending discrimination based on diabetes, ending lifetime dollar limits on benefits, and providing financial help to pay for insurance. We have two new documents to help you understand both Marketplaces and the upcoming changes in health insurance rules related to diabetes. These documents are also available in Spanish. In the Association’s new Q&A, “The Health Insurance Marketplace and People with Diabetes”, you will find a list of frequently asked questions about the new Health Insurance Marketplace opening in your state on October 1st. If you or anyone you know is uninsured or shopping for new coverage—or simply wants to explore other insurance options—this document will help you learn more about Marketplaces. The American Diabetes Association does not recommend specific health plans, but we want to provide you with an understanding of the new Marketplaces and link you to available resources for assistance. Click HEREto read the Q&A. The American Diabetes Association’s new “Health Insurance Update: Protections for People with Diabetes” provides information on changes to health insurance rules which impact people with diabetes, including changes that are already in effect and some starting on the first day of the new year. We want to help you understand these changes and how they can benefit you, your friends and family. Click HERE to read the update. Making sure that people living with, and at risk for, diabetes can access the care they need for optimal health is at the core of the American Diabetes Association’s mission. The new Marketplaces, coupled with the new health insurance rules, will help people with diabetes get the care and treatment they need. Please help spread the word about these changes by forwarding this email to friends and family affected by diabetes. We appreciate your support and everything you do to Stop Diabetes®. P.S. Those who are seeking assistance in choosing a health insurance plan, or who want to learn more about the Marketplaces, can also visit www.healthcare.gov, or call 1-800-318-2596. I know, I am behind on giving you a recipe. Of course, the trouble was that I have not been cooking very much during the summer. We grill out a lot and so I can be very, very lazy. I did see this recipe in the April/May 2013 issue of Taste of Home magazine and I tried it. It has two elements that appeal to me. The first is that it is incredibly easy. The second, which is really important for us, is that it is easy to get the right serving size. Combine ingredients and put the mixture in (are you ready?) a muffin tin! Yes, a muffin tin. Now - here is my first suggestion. They say to put the mixture in an ungreased muffin tin. I think that it depends on what ground beef you use. I, of course, did not read carefully enough the first time through and I sprayed Pam over the entire muffin tin. I think that if you use less than 90 % ground beef that you don't need to spray but with my 90%, the minis would have stuck to the pan. Also, you could use ground turkey and then I would also spray the muffin tin. Bake at 375 degrees for 18-22 minutes (meat thermometer at 160 degrees). Then take them out and cover each section with a sprinkling of shredded cheddar cheese. Bake 2-4 minutes longer to melt the cheese. So, the next change is that I somehow did not have any shredded cheese. I just took 3 slices of sharp cheddar cheese and divided each piece into 4 pieces and put one piece on each section. An easy substitution would be to use fat free cheese. I used a serving spoon to get each meatload mini out of the muffin tin. About the additional barbecue sauce, Silent Sam and I agreed that the sauce overwhelms the mini meat loafs. We thought it was fine without it. I was ready for SS to turn up his nose at this recipe but he didn't. We both liked it. The stuffing mix adds enough of an herbal taste that makes it interesting. I might fool around a little with the barbecue sauce at the beginning. I might at 3 tablespoons just to see what happens. You do not taste the barbecue sauce in the end product with 2 tablespoons. The best thing is also that the serving size is so easy. The serving size is 2 "muffins". With a salad and vegetable, it is plenty. It seems that writers are generally worried about not having anything to write about or suffering from “writer’s block”. I understand this as there are times I am not sure what I am going to write about here. In order to combat this problem, writers like to give out “prompts”. A prompt is generally one word that should inspire you to create. 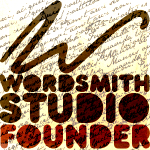 Wordsmith Studio (www.wordsmithstudio.org), the group I belong to, gives out a prompt each week. With this prompt, you can respond in a way that is appropriate for you. I have usually taken photographs (www.carolearlycooney.wordpress.com ) but this week, instead of posting the recipe that I was going to post (You thought I forgot about trying and sharing new recipes didn’t you?) I am inspired to use the word when writing to you. Since entering this diabetes community, I have been amazed by all of you. First of all, the sheer number of people with diabetes and the amount of information that is available but more than that, how nice a group of people I have been able to meet. Yes, the diabetes community is mighty. 1. having, characterized by, or showing superior power or strength: mighty rulers. 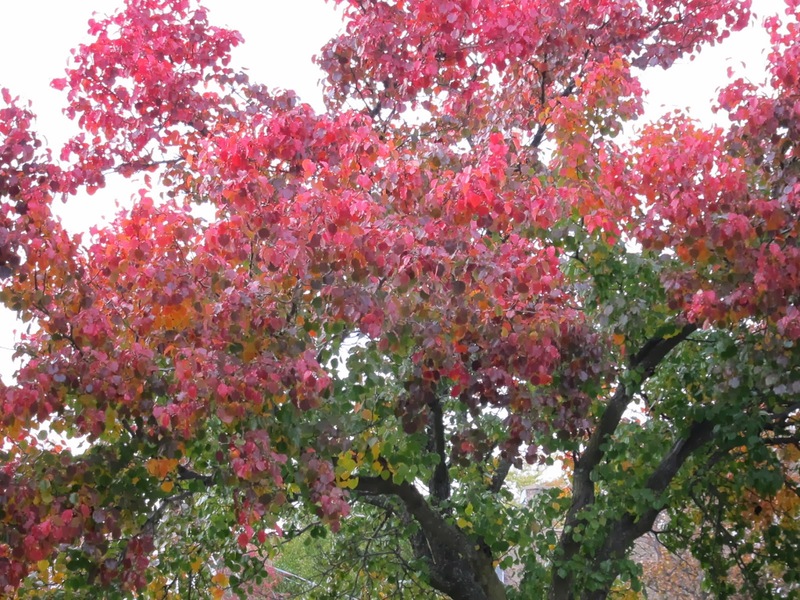 2. of great size; huge: a mighty oak. 3. great in amount, extent, degree, or importance; exceptional: a mighty accomplishment. 4. Informal. very; extremely: I'm mighty pleased. 5. the mighty, mighty persons collectively. Yes, that is the word prompt and can you see why I thought if it in relation to the diabetes community? We are a mighty force that can make a difference for generations in the future. We can be a mighty push for research. As with any mighty force, it just takes a small step from each part. What will be your small step? Labels: diabetes community, mighty, writer prompts. Here in the Midwest, today it is a hot and humid day. This morning on the weather they were talking about it being 100 degrees with the heat index. But what about moving inside? Well, you can go to a gym or park district and perhaps they have equipment there or even a class that you could take. I think that you will find most of those places air conditioned and exercising will be comfortable. It is important to remember to keep drinking water while you exercise even if you are inside. Your body needs lots of fluids in weather like this. Keep that water flowing. Now, what if you don't have a pool, lake, gym, or park district to go to to exercise? I suggest that you go to your living room. You have a few options there. Turn on the TV and start running in place through your show. When it goes to commercial, take a break and then start up again when the show starts. If you do that through a half hour show, you have 20 minutes of exercise done. WAHOO! Does running in place not sound like fun through a whole show? So run in place part, do jumping jacks through part, and then run in place again. Just keep moving during the show. Instead of turning on the TV, use that Wii that is sitting on the floor. There are fun games on there (bowling, golf) that you can play to get some exercise. There are even exercise games that you can buy specifically for the Wii. No one is watching to see how well you do and you might find it is fun. Or crank up the music and dance. Yes, I mean that. Dance. Shake it and rock it. Laugh at your self. Impress your imaginary audience with your moves. Dance to several songs and you will know that you have gotten some exercise. Do that for 20 minutes and you will feel it. Try to get your heart beating a bit faster this summer. I know it is hard to convince yourself to go out in this weather. 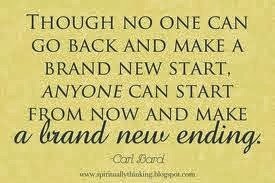 Don't get off track just try something new. This is just a quick note about a new class of drugs that have been approved for use with Type 2 diabetes. The class is called SGLT-2 inhibitors. In the United States the drug is named Invokana. I don't normally talk about new drugs but I was reading about it (and you can read about it here) and found this YouTube video, which is a bit amusing. By the way, it is also being studied for those with Type 1 diabetes although not approved for use yet. Have a terrific 4th of July. Be safe! Do you know what diabetes is? I ask you this because until a week or so ago, I would have had to tell you that I didn't really know what it was. Yes, Silent Sam has had it for almost two years but if it was ever explained to me, I must have tuned out. It could have been part of the information that was given to us when he was diagnosed but I just did not absorb it. Was it explained or did the doctor just say “you have diabetes and this is what you have to do now”? I asked Silent Sam and he said that he was not completely clear either. As much as I like to think that I am a unique snowflake, I am willing to bet that in my ignorance, I am not alone. I understand what we are supposed to be doing to help SS with managing the disease but as far as what it actually means, I was clueless. Also, I knew that when Silent Sam went to the endocrinologist’s office they did an A1C test. I knew this was the lie detector test for how you are behaving. I had no idea how it worked. Do you know and understand this stuff? Do you have any other questions that float around in your head but you don't ask about them? It may not matter to you but do you know the difference between the different types of diabetes? Did you know that there are at least 4 different kinds that you may hear about more often but there can be other conditions or syndromes that cause diabetes? So, I ask you – do you want to know the simplest to understand answers to these questions or am I the only one asking? I would appreciate it if you could let me know. You can tweet me (@9inchplate) or Facebook at https://www.facebook.com/pages/The-9-Inch-Plate/364934863531571, or just email me at footbloggerchick@gmail.com . If you have questions, send them along also. Let's find out together. I'll ask the doctor so that you don't have to! Labels: A1C test, diabetes, types of diabetes. It must be true that opposites attract. Silent Sam likes to sweat. I absolutely do not like to sweat. I am not sure that either of us likes to exercise but we like different seasons when we do. I would rather be cold. Yes, cold. I liked walking by the lake when it was in the 30’s. Brisk is what I call that. SS is not interested in that at all. I got him some cold weather running gear but it doesn't matter, he doesn't like it. On the other hand, he will go out for a run when it is 90 degrees out. I don’t want to leave the house – even to go to the yard – when it is 90 degrees out. So as you can guess, he is back running outside. Yes, as it warms up his workouts increase. I think he has lost his mind. His run usually takes him about an hour. Of course, I don’t ever think to check the clock when he leaves so it seems sometimes like he is gone forever. Just as I think that I should start searching the neighborhood for his crumpled little overheated body, he will return home. As an editorial comment, (which he will really appreciate) I think you should look better when you return from something you supposedly like to do. At least you should be able to look like you are happy to have accomplished something. But who am I? I certainly don’t look in the mirror when I am finished with whatever I did to exercise. So, I was a bit shocked when SS came in last Sunday morning. He had not been gone very long. (I could tell it had not been long because I was on the phone and we had barely revved up to discuss the week’s events) To be honest, he looked grey. And not the good 50 shades way. It seems that he had fallen. He was trying to adjust his stride and hit a crack in the sidewalk. He fell on his shoulder. After sitting for a few minutes, he took a shower and came downstairs to read the paper. After a while he decided that he needed to have it checked out. One quick trip to the ER later, we had been told he had a chip in his glenoid (the shallow part where your arm goes into your shoulder) and he was sporting a sling. They said that if it got worse that he should see an orthopedist. We were pretty much ready to leave it there. He started feeling better slowly. Several days later, he received a call from his doctor’s office asking him if he made an appointment with the orthopedist. They told him that he had a fracture (yes, a chip is a fracture but calling it a fracture sounds so much more serious) and he needed to go to the ortho. They even made him an appointment! So off he went. The first part of the appointment was good news. It seems the ortho felt that the chip was an old injury. (Huh?) Then came the part we didn't expect - he was worried that the rotator cuff was torn. That is a whole different kettle of fish. Silent Sam had an MRI and is waiting for the results. He still has pain with certain movements. We are really hoping that some physical therapy will be the answer. So doesn't it always seem to happen? I thought it only happened to me but it seems to be pretty universal. You just start some behavior that will improve your health and the next thing you know the universe has sent you a giant curve ball. It makes it even harder to keep your resolve. And keeping your resolve is very hard all on its own. Believe me, I know it is so much easier to watch TV or read than go out for a walk around the block after dinner. So, how do you keep your resolve when life gets in the way? I had the absolute pleasure be able to sit down and talk to Dr. Kristen Randall. Dr. Randall is an optometrist who specializes in primary eye care and contact lenses. She is warm and very informative. I know that when Silent Sam was diagnosed with Type 2 diabetes that one of the things that we were told was that he needed to get to the eye doctor and get his eyes checked. Fortunately, his eyes were fine and he has been diligent in getting them checked regularly. Why check his eyes? Dr. Randall explained to me that people with diabetes have an increased risk of eye disease. Having good blood sugar control is an important way to prevent problems but in addition, controlling your blood pressure will help. Your genes play into your eye health also. Unfortunately, the length of time that you have had diabetes will also make a difference in your eye health. If you are like me, you may not remember what we were taught in high school biology about the eye. The following is a YouTube video about the anatomy of the eye. The first eye disease that comes to mind with diabetes is Diabetic Retinopathy. This is actually a group of eye problems that can be a complication from diabetes. Diabetic Retinopathy is the leading cause of blindness in American adults. This disease is caused by changes to the blood vessels of the retina. This disease can take various forms. 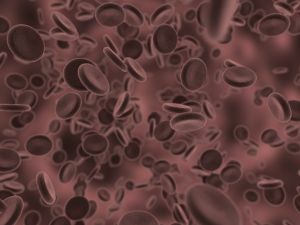 In some people, the blood vessels may swell and leak fluid. For others, it can be that abnormal new blood vessels grow on the surface of the retina. Here is the true villain in the mix. You can have diabetic retinopathy and not know it until you have lost part of your vision. If you cannot tell that you have it, how can you stop it? It is very important - really really important that you have a comprehensive eye exam at least annually. The eye exam is not different than what you are used to already. There will be a test to see how well you can see distance and close up. The doctor will dilate your eyes so that an exam of your retina and optic nerve can be done. Last but not least, the doctor will check the pressure inside your eye. Glaucoma is another disease associated with diabetes. According to the American Diabetes Association, people with diabetes are 40 percent more likely to suffer from glaucoma. The risks for glaucoma increase with age and length of time that one has diabetes. When you have glaucoma, the pressure on the inside of the eye has been raised because drainage of the fluid in the eye slows down. With the buildup of the fluid, the pressure builds and squeezes the blood vessels that carry blood to the retina and optic nerve. The retina and optic nerve are then damaged and vision is lost. The doctor will test for Glaucoma during your annual eye exam. If there is a problem, there are several treatments available. The final in the big three diseases that affect diabetics more frequently is cataracts. While many people get cataracts, if you are diabetic your chance is 60 percent higher than the normal population. People with diabetes will normally get cataracts at a younger age and the disease will progress faster. When you have cataracts, your normally clear lens becomes cloudy and that affects the amount of light that can penetrate it. We probably all know people who have had cataract surgery. The problem is that when you have diabetes, the surgery to correct cataracts can affect the other possible diabetes related eye problems. It may worsen diabetic retinopathy or start you on the path to glaucoma. I can't pretend that I was very upbeat after our conversation. These eye diseases are serious and they look in some ways to be inevitable. Dr. Randall assured me that if you are faithful in having your eyes checked that most of the diseases can be helped. But she did stress how important the eye exams were in maintaining one's vision. It is also very important that you as the patient pay attention and if you feel there are any changes that you get to the doctor right away. It is much more important to err on the side of too much checking rather than not enough. I asked Dr. Randall about the seemingly new eye vitamins that are available. I wondered if they would help a diabetic's eye health. She told me it is very important the patient talk to their doctor about using vitamins specifically for the eye. It is possible that they may not get along with the prescription medicines that the patient may already be taking. So, as they always say, check with your doctor before you try them. I am so thankful that Dr. Randall could take the time to talk with me about all these issues. If you are in the Chicagoland area, Dr. Randall works with Linton Opticians in Evanston, IL. But I have started again. Yes, I sat down on Saturday morning and went through some of the recipes that I had marked. I pulled out THREE for this week. I know it is a bit extreme but I felt like it. I did make a small mistake. I was supposed to have a meal tonight for "meatless Monday" but the shrimp had thawed so I had to use them. Guess what? This recipe worked. We both really liked it and it was quick to make. As we say, this is a keeper! The recipe is from Diabetic Cooking Magazine. I went through and tore out the recipes I liked and I just noticed that they don't put the month or issue on the pages. The magazine comes out every other month. There is usually a theme to the recipes. If you are interested, you can look at the web site for the magazine on line. 1. Cook pasta according to package directions, omitting any salt or fat. Four minutes before pasta is cooked, add shrimp; cook 1 minute. Add asparagus to shrimp and pasta and continue cooking 3 minutes or until shrimp are pink and opaque. 2. Remove pot from heat. Drain well, shaking off excess liquid. Return pasta, shrimp and asparagus to pot with remaining ingredients except basil and Parmesan cheese. Toss until well blended. Add basil and Parmesan cheese and toss gently. Dietary exchanges: 1 fat, 1 meat, 1 1/2 starch Calories: 230 Total fat 7 g, Saturated Fat 1 g, Protein 16 g, Carbohydrate 27 g, Cholesterol 76 mg, Dietary fiber 3 g, Sodium 766 mg. If you are used to reading my recipes, you know that I somehow never make things absolutely right. I ended up using ziti because I forgot to ask Silent Sam to pick up rotini and SS could not find light olive oil vinaigrette, so we had full strength. The basil just adds the right fresh taste to this dish. I know we will have this again. It would be great for company also because it cooks so fast. They would never guess it was good for them! This bloom was my surprise this morning! Lovely! Today is day three of Diabetes Blog Week. And I am still here. Shocking! Today we're going to share our most memorable diabetes day. You can take this anywhere... your or your loved one's diagnosis, a bad low, a bad high, a big success, any day that you'd like to share. Okay, I would really like to tell you about the day that Silent Sam had done so well that he was taken off all medication. It was a great day but to be perfectly honest, I don't remember it. I am sure that he does and could tell you how great it felt. I remember the day we went to the emergency room. Yes, our road started in the emergency room and then moved to a hospital room. We did not go to the emergency room because of diabetes. Silent Sam had not been diagnosed with diabetes at that point. We went because he had an infection in his leg. So maybe we didn't even know that exactly. We just knew that his leg hurt. I clearly remember the ER doctor coming in and saying that his blood sugar level was high. Seriously, I had no idea what that meant except, of course, that it was bad because he was talking about it. He suggested that SS go to the doctor and that he might have to take pills. While this was not good news, what they were about to do to his leg sounded worse, so I still was not focused on the concept of pills. Silent Sam ended up being admitted because they wanted him to get more IV antibiotics for the leg infection. Once in the hospital room, the doctors became more more interested in his blood sugar levels. They quickly noted that his level was high (300ish) and it was not coming down. This is how we moved into the land of diabetes. It was memorable because I knew so little and there was so much information to absorb. To be honest, I still have much to learn. I am hoping that Silent Sam continues to do well and I don't have to learn more. Wouldn't that be great? The odds are against us but we keep fighting. Recently various petitions have been circulating the Diabetes Online Community, so today let's pretend to write our own. Tell us who you would write the petition to - a person, and organization, even an object (animate or inanimate) - get creative!! What are you trying to change and what have you experienced that makes you want this change? 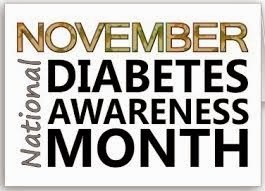 I don't know if you know this but diabetes is a serious disease. Diabetes doesn't mess around. It hurts people without them even knowing it. It attacks their bodies and parts can be lost. Really, parts can be lost. How much more serious can you get? Therefore, we the people signed here below feel that medical supplies needed for diabetes care should be free to the patients. No patient should have to go without supplies because they cannot afford them. No patient should be sticking themselves with used lancets because they can't afford to buy what they need. No patient should be under dosing themselves because they can't afford the medicine. Did you know that it is estimated that one out of every 200 people in the U.S. has had an amputation and that a large percentage of those amputations are due to diabetes? * If we could avoid some of those amputations by having the supplies for diabetes free than we would save more then than the program would cost. So let's save limbs and eyes and hearts. Let's make diabetic supplies and medicine free. Let's take care of one another to make sure we are all here for each other. 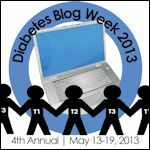 I am delighted to be joining the diabetes blog community for the 4th Annual Diabetes Blog Week. As I recall from last year, posting daily was hard but very rewarding. I "met" some wonderful bloggers and was able to learn a lot. Often our heath care team only sees us for about 15 minutes several times a year, and they might not have the sense of what our lives are really like, Today, let's pretend our medical team is reading our blogs. What do you wish they could see about your and/or your loved one's daily life with diabetes? On the other hand, what do you hope they don't see? First of all, let me say that I love my husband's endo. She is very nice and has been great at responding. I am not sure that I was a huge fan of electronic medical records until Silent Sam was diagnosed with diabetes. Now it is wonderful to have all his doctors connected and on the same page. The other thing I liked about his endo is that there is a dietitian as part of the practice. On the first visit, we saw the endo but also had an appointment with the dietitian. That was a great help. What I wish the endo could see about our daily life with diabetes is how hard it is to be on the straight and narrow. That after our initial surge, maintaining the behavior has gotten really hard. It is almost like being back when we were told that Silent Sam was pre-diabetic. We worried but with no visible illness it was hard to behave. I wish that she knew to call us back in and call us on the carpet to get us back on track. Don't get me wrong, Silent Sam has done very well. He has been submitting his numbers each week and they have been pretty stable (except for that week of vacation, maybe....). But I wish there was a mandatory meeting with the doctor to go over everything again. I don't want to be as scared as I was at first : I just think the urgency was good for us. Diabetes is hard because it is silent. I worry that things will go bad before we can fix them and there will be a larger problem. I wish she could look into our lives and point out - perhaps not too kindly - what we are doing wrong and what we need to change. So off I go to now explore some of the other diabetes blogs. I will let you know about what I find. There are just so many talented people!